[prMac.com] Springfield, Illinois - Goodsol Development has released Pretty Good Solitaire for iPad version 1.20, a solitaire card game for iPad that includes 550 different solitaire card games, from the classic games like Klondike, FreeCell, and Spider, to original games found nowhere else. Version 1.20 includes 30 new games and a new card design, Tropical Cards, bringing the total number of different card designs in the app to 4. Pretty Good Solitaire includes the popular games Klondike, FreeCell, Spider, Yukon, Scorpion, Pyramid, Crazy Quilt, Golf, Cruel and more. It also includes many games invented for Pretty Good Solitaire, such as Demons and Thieves, Double FreeCell, and Aces and Kings. Pretty Good Solitaire's built-in intelligence lets you spend more time planning strategy and having fun, and less time making tedious, routine moves. When you tap a card, the program automatically examines all possible legal moves, and makes the most likely choice for you. For those occasional errors that we all make, Pretty Good Solitaire has unlimited undo and redo functions, allowing you to go back to the beginning of the game and re-think your strategy. Over 2 billion starting positions for each game. 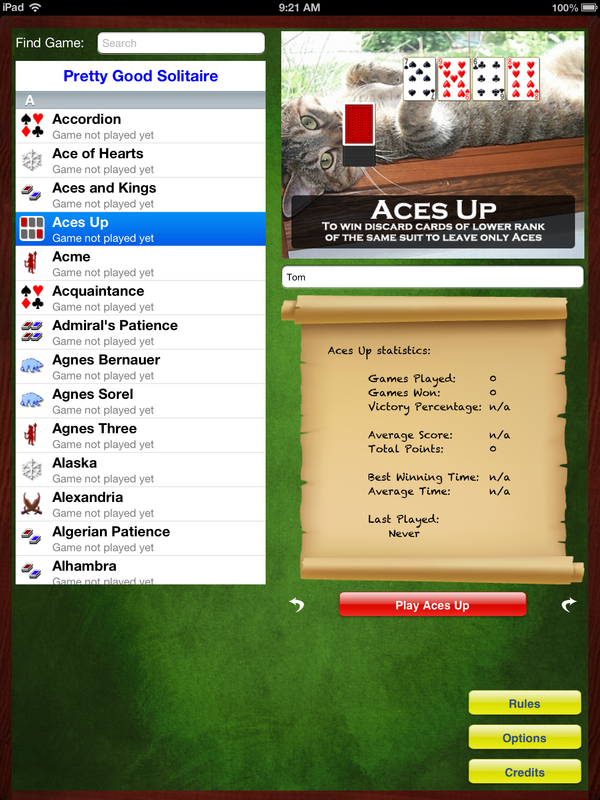 Game numbers are compatible with the Windows and Mac versions, FreeCell game numbers are compatible with Windows FreeCell. Pretty Good Solitaire is the solitaire game for players who take solitaire seriously. Pretty Good Solitaire 1.20 for iPad is available worldwide exclusively through the App Store in the Games/Card category for $9.99 (USD), less than 2 cents per game. The Windows and Mac versions of Pretty Good Solitaire are available for purchase or trial download from the Goodsol Development web site. Located in Springfield, Illinois, Goodsol Development markets best-selling solitaire card and tile game software, including Pretty Good Solitaire and Pretty Good MahJongg, developed by founder Thomas Warfield. 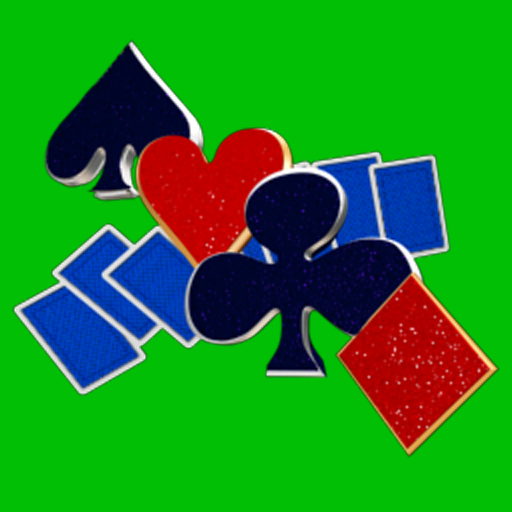 Goodsol Development has been developing solitaire apps since 1995. All Material and Software (C) Copyright 2014 Goodsol Development. All Rights Reserved. Apple, the Apple logo, iPhone, iPod and iPad are registered trademarks of Apple Inc. in the U.S. and/or other countries. Other trademarks and registered trademarks may be the property of their respective owners.